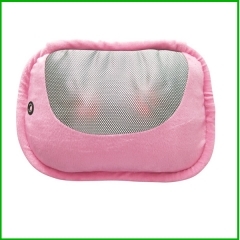 4 rollers electric massage pillow for back pain The massage bear with cute outlook and big function.it is best gift for girl friend. 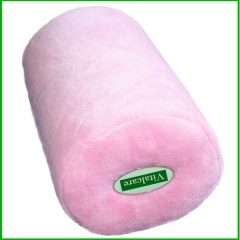 8 roller deep kneading best massage cushion Home or car use wireless battery operated massage pillow,with Lithum battery rechargeable. 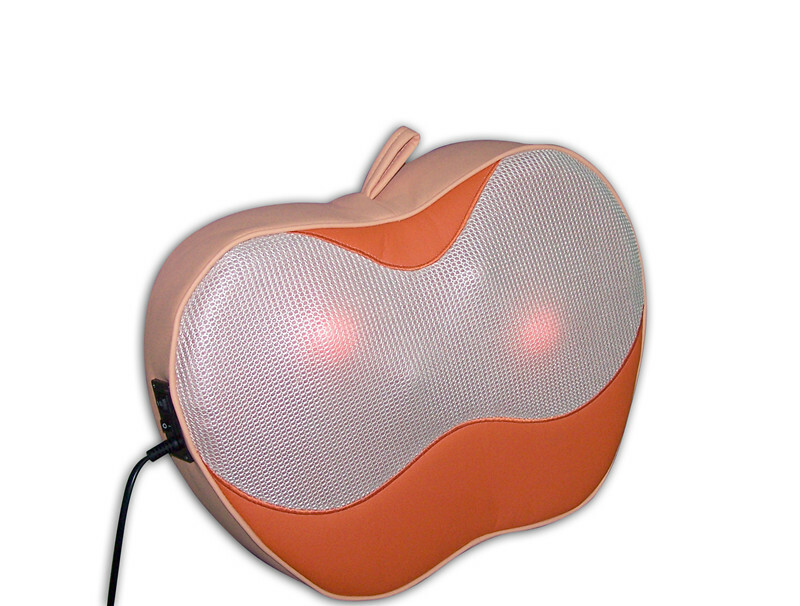 Rechargeable cordless shiatsu neck and back massager This cordless shiatsu neck and back massager can be rechargeable. Free samples are ready ? Latest design ? Discound ? Customization ? 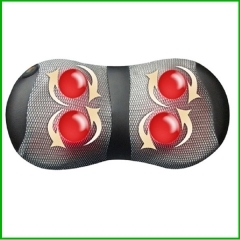 1.comfort Shiatsu massage melts away the whole day pain of lumbar with 4 kneading balls. 3.straps behind for convenient use. 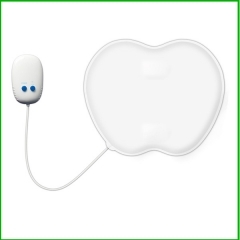 4.ergonomic design,thin and light weight. 1) Small order: By express, DHL/ UPS/ Fedex/ EMS etc. Having our own Top VIP DHL&UPS account, 3~5 working days arrive to worldwide, no delay during festivals. 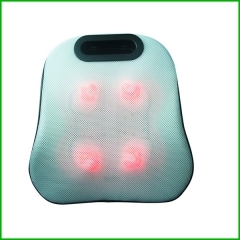 Xiamen Wellness Technology Co., Ltd was founded in July, 2004, focus on designing and manufacturing personal care products and furniture massage systems and components.Our company have passed through ISO14001:2015 since 2007, ALL the adapter of our products have GS cert, and Most products have CE cert.Curently.Our product has exported to USA,Europea ,Australia,Southeast Asia etc. 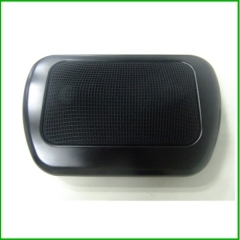 A1: We are a factory, we can guarantee our price is first-hand, very cheap and competitive. Q2: How does your factory do regarding quality control? A2: All the products will be 100% checked before the shipment. A3:Usually we quote within 24 hours after we get your inquiry. Q4. Can I have a sample order for the product? You can call us or email us. 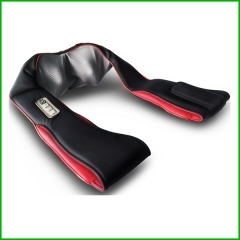 Electric Shiatsu Kneading Head Neck Shoulder Back Body Leg foot Massage pillow with Heat for Home Office Car. 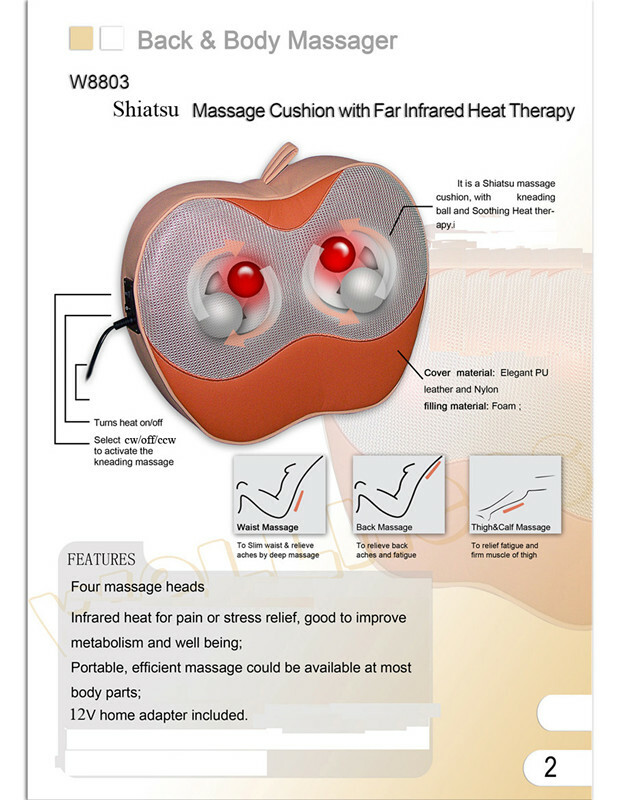 Comfort Shiatsu massage melts away the whole day pain of lumbar with 4 kneading balls. 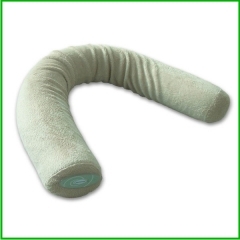 Massag pillow, 1 vibration motor with Hi/Lo setting. 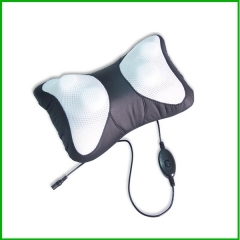 One Motor massage Pillow with wide application. 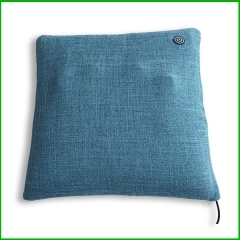 2 Motor Massage Bath Pillow with Hi/Lo Setting, waterproof cover. 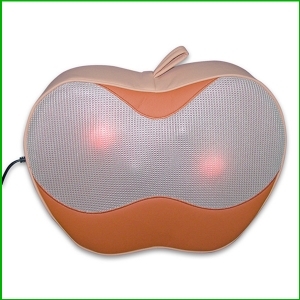 Copyright © Xiamen Wellness Technology Co., Ltd All Rights Reserved. Powered by dyyseo.comAll Rights Reserved.